Have you suffered a concussion? Were you treated and released from care only to later feel as though something still wasn’t quite right? 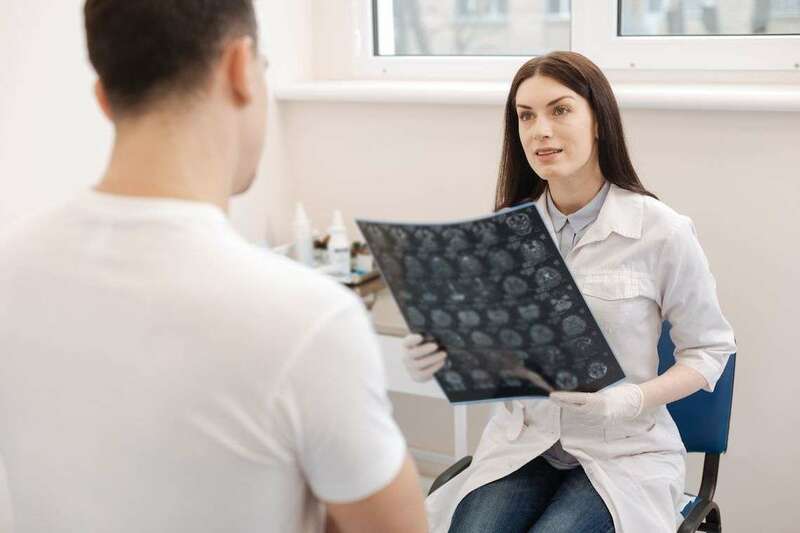 Even if you were given a “clean bill of health” from your physician after treatment for a concussion, you may still be suffering from a brain injury known as post-concussion syndrome (PCS). Sometimes the symptoms are so subtle that people are unaware they even have PCS. Persistent mild headaches, sleeplessness, and irritability are all common symptoms of PCS that are routinely misdiagnosed as other ailments, and they can have a very real impact on your quality of life. A concussion is considered a mildly traumatic brain injury, and often occurs after a blow to the head. Concussions are common in car accidents, slips and falls, and contact sports such as football or martial arts. Many people believe that a person must lose consciousness in order to suffer a concussion, but that’s not necessarily the case in all circumstances. It’s not uncommon for a person to suffer a blow to the head that causes a concussion, and they remain conscious and completely alert. There doesn’t seem to be any proven connection between the severity of a concussion and the onset of PCS, according to Mayo Clinic. However, victims who have a history of psychological disorders, such as post-traumatic stress disorder and depression, seem to suffer a higher instance of PCS than those who don’t. PCS is a complex condition with a variety of symptoms. It can be difficult to diagnose, because the symptoms aren’t always obvious, and they closely resemble PTSD or depression. In rare circumstances, decreases in taste and smell. There is no specific treatment for PCS, however, and patients need to be treated on a case-by-case basis for their individual symptoms. The most common symptoms of PCS that require treatment include headaches, cognitive issues, and psychological issues like depression and anxiety, according to the Mayo Clinic. Post concussion headaches can persist for weeks or months and make living daily life challenging. You and your doctor will need to discuss how debilitating your headaches are before they can prescribe any medication to treat your pain. Usually, doctors prescribe migraine and similar pain medications to alleviate the worst discomfort. For cognition problems, such as memory and problem-solving issues, doctors don’t generally prescribe medications. Time may be the best therapy for these issues, according to medical professionals, and symptoms typically go away in time on their own. Your doctor may prescribe some forms of cognitive therapy to help strengthen specific cognitive issues you’re having difficulty with, but ultimately your treatment options will depend on your symptoms. Other common symptoms of PCS include psychologicacal issues such as anxiety and depression. Recovery can be aided by psychotherapy and medication, the Mayo Clinic says. Those suffering from PCS may also be able to relieve some of their anxiety by learning more about the syndrome and its associated symptoms, medical professionals say. As you can see, complications from your concussion don’t necessarily end when your concussion “goes away.” Often, symptoms persist for a year or more. If you suffered a blow to the head that wasn’t your fault, you should be able to pursue compensation for your injuries. Your ability to work and enjoy life could have been impaired by the negligence of another and you shouldn’t have to put up with that. If you suffer from post-concussion syndrome and the concussion wasn’t your fault or you’ve been misdiagnosed, a post-concussion syndrome lawyer may be able to help. Contact Morgan & Morgan today for a free legal consultation.